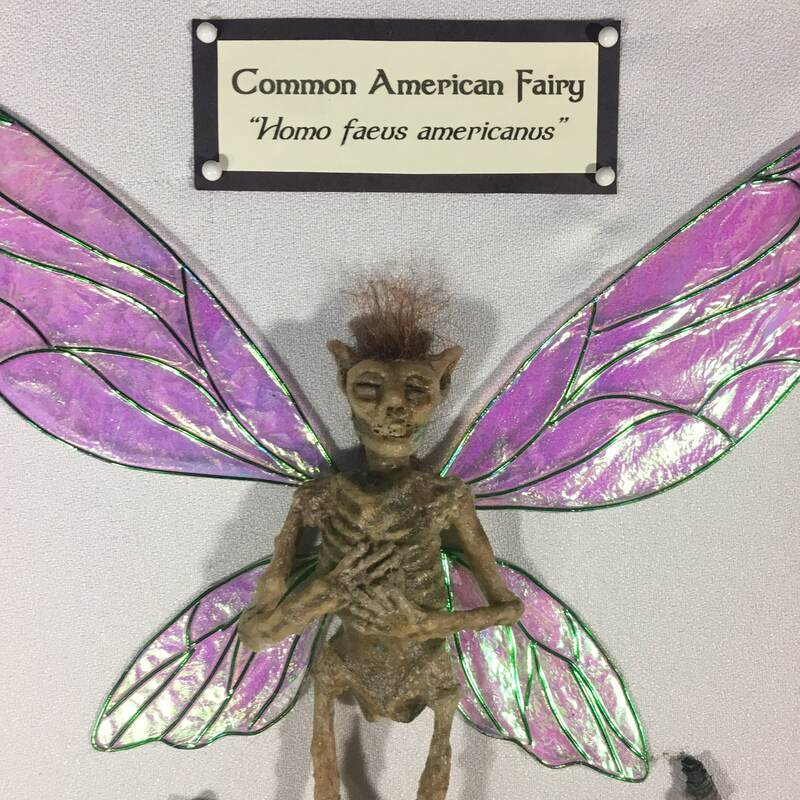 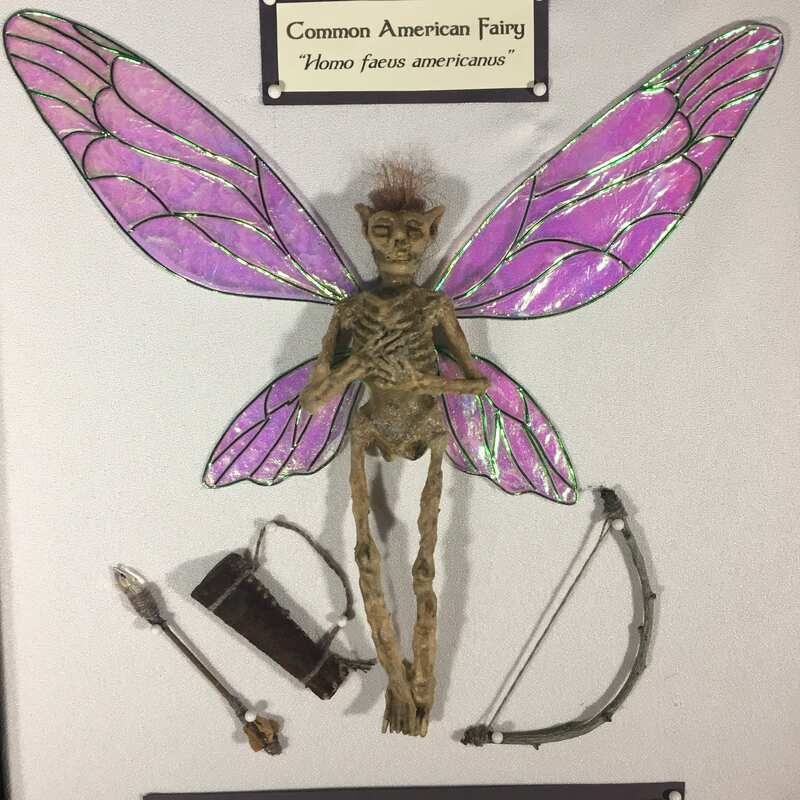 This almost perfectly preserved female Fairy specimen was found in the forests of Oregon. 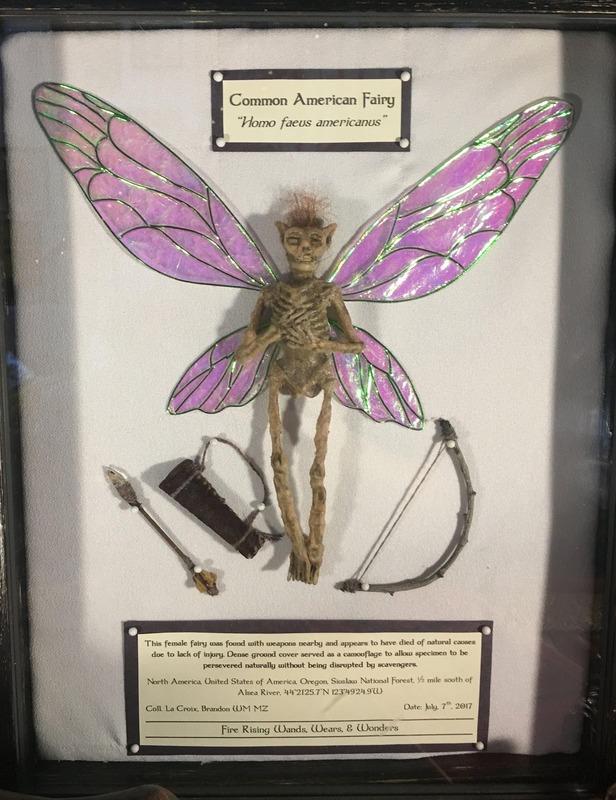 She is mounted with her weapons in a beautiful black shadow box. 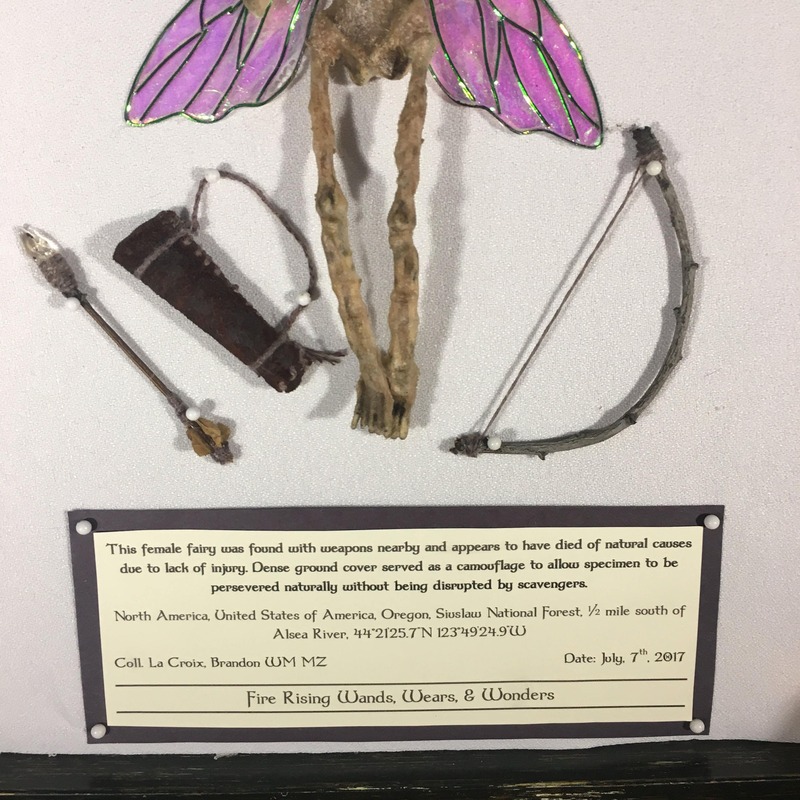 The shadow box is able to be hung on the wall or sat on a shelf and does open to allow further study of the specimen. 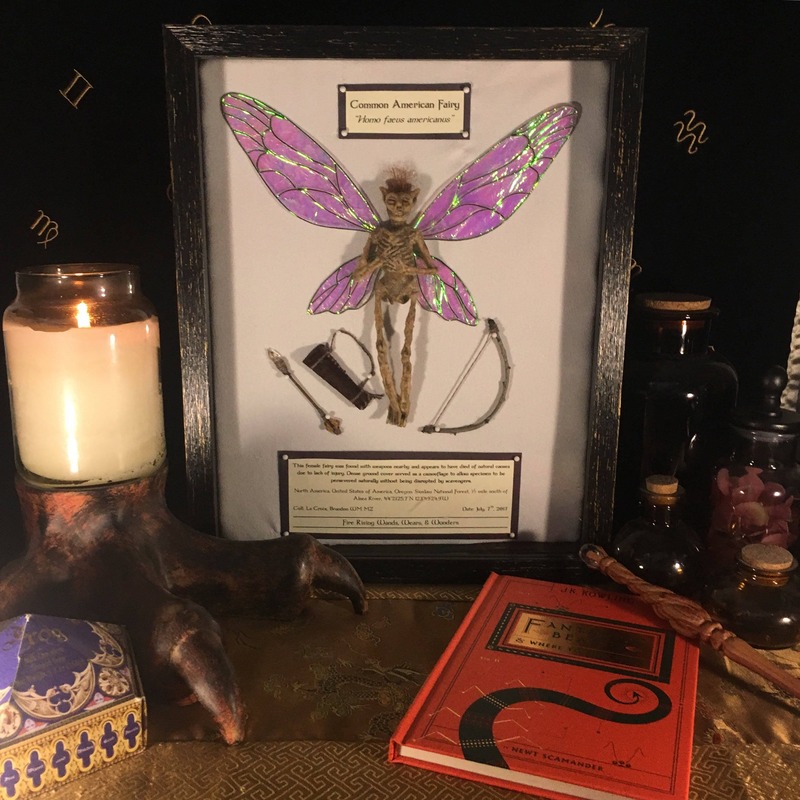 This piece is a wonderful gift and a stunning addition to any Witch or Wizard's collection, from a young budding Magizoologist to an experienced veteran.